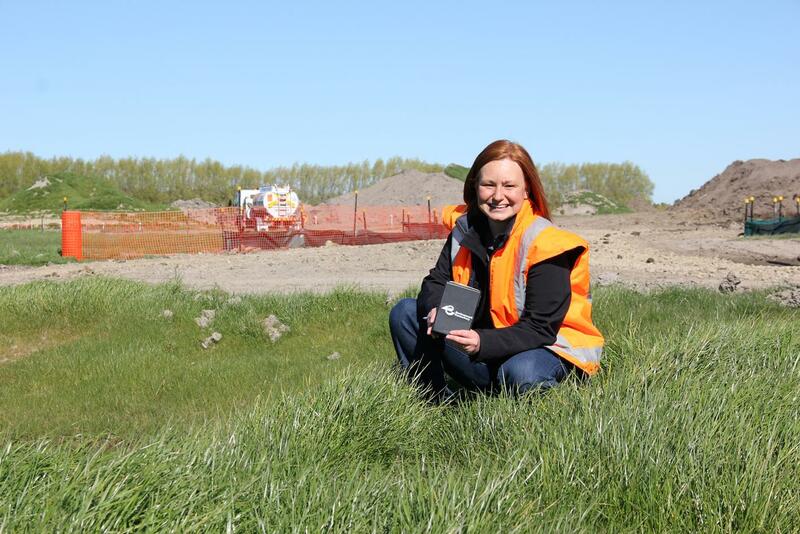 You are required by Environment Canterbury to apply the best practicable options for erosion and sediment control in each situation within your project, and to make sure that all your activities comply with Regional Rules or Resource Consents. We are here to help. This toolbox presents a large range of principles, tools and approaches, and sets out what we believe are reasonable measures for you to implement. We are also very open to new approaches, and encourage you to research, test and discuss with us innovative tools or uses of tools. This toolbox will be updated from time to time as discoveries arise. What do we mean by ‘best practicable options’? Any project-specific sensitivities, eg the need to keep particular communities or stakeholders informed, or to protect activities downstream or downwind of your project. What do we mean by ‘requirements’? Maintaining compliance throughout the project. Cost and practicality of management. You are expected to treat sediment in runoff from your site. Treat sediment in sheet flow by appropriate methods. other methods that are at least as effective considering the constraints of your site. Note that you will need to explain why you’ve chosen these methods rather than ones from this toolbox, and will need to demonstrate their effectiveness. treatment in sediment retention tools usually requires coagulation and flocculation. Controls are in place before earthworks start. Or, you have in place a logical sequence to stop exposed soils being eroded and discharged from the site. For example, this could apply to demolition of buildings on sites where there are physical constraints on installing treatment devices. Work with Environment Canterbury before taking this approach. As with erosion, we encourage new methods of capturing sediment – talk to Environment Canterbury about tools that you would like to use. Before you start, check the Rules and get advice from professionals who understand regional rules and legal requirements, so that your project gets off on the right foot. If no resource consent is required for your project, ensure that you comply in full with the Regional Rules that cover the work, for its duration. Initially Environment Canterbury Consent Planners won’t need to know the detailed design plans, but will need to be able to assess your project against Regional Rules. So before you submit an application for resource consent, firm up the concept you will be seeking resource consent for. Be able to show the scale and nature of your works. Know where runoff will be discharged to. Prepare your application using information available on the Environment Canterbury website, or use a consultant to prepare the application/s on your behalf. We have application forms available, which will help guide you with what needs to be in an application for resource consent. Use a consultant who is suitably qualified and experienced in the area to assess effects. For example, where a discharge may have effects on aquatic life, using a qualified aquatic ecologist to explain the effects will be helpful. Prior to lodging your application/s, request a Pre-Application meeting with a Consent Planner. Contact Customer Services using the links in the toolbox to arrange this. Your application needs to have sufficient detail so that we can understand its scale and significance. We’ll need to check the proposal against objectives, policies and rules, so you’ll need to show clearly what you intend doing. Use schedule 4 of the Resource Management Act 1991 to guide you as to what is required to be supplied with an application. The key thing is to thoroughly assess the environmental effects. You should also show details of mitigation and any consultation you’ve carried out. Provide a draft Erosion and Sediment Control Plan, to show how your works will be carried out. Pay the appropriate charges for your application at the time it is lodged. If your application shows that effects have been assessed, we will start to determine whether the application should be Notified, or Non-notified. If not, it will be returned to you, minus the cost of carrying out the initial check. We may ask for more information. Ensure you respond promptly with the information needed, or tell us when you’ll be able to send it through. Without that information we may have to Notify the application and recommend that it is declined. Depending on the effects of the proposed work, we may Notify the community and invite them to comment on it. We may only invite submissions from those who are affected by the project, rather than the wider community. If your application is granted, you will need to check that there are no errors in the resource consent. You have 20 working days to tell us if there are. If you think there are serious problems with the conditions, you have an opportunity to formally object to them. If you find that you can’t comply in full with the conditions of the resource consent, you should apply to change or delete conditions. You’ll need to assess the effects of the proposed change or deleted condition. We will only assess the effect of the change or deletion, rather than the whole activity. There are some particular expectations and aspects of compliance around contaminated land. Land is ‘contaminated’ when the soil contains any hazardous substance that could pose a threat to human health or the environment. These activities are referred to as Hazardous Activities & Industries List (HAIL) activities, because they involve the use, storage or disposal of hazardous substances. There is a full list of the HAIL activities available. In the past, the use of hazardous substances was not as well controlled as it is today. Contamination is not always obvious. Soil can be heavily contaminated, but you may not be able to see or smell it. Always take a cautious approach. You can only know if the land is actually contaminated by testing it. To find out whether your land is contaminated, you need a Detailed Site Investigation by a qualified and experienced Environmental Consultant who specialises in contaminated land investigations. See the guidance on Environment Canterbury’s website. Before your project starts, check the address on Canterbury’s Listed Land Use Register (LLUR). Or, call Environment Canterbury on 03 353 9007. If your site has had a Hazardous Activities & Industries List (HAIL) activity, you will need a Site Management Plan (SMP) to address things like onsite management, health and safety and keeping contaminated soil out of stormwater. Consider contacting a contaminated land specialist to help you develop this. When the project starts, be very cautious about safety. Always protect yourself and your workers by using appropriate personal protective equipment (PPE). If the project has started and you unexpectedly find contamination on site – or if you are not sure what you have found – stop work immediately. Safely isolate the area and protect yourself, workers and neighbours. Contact your district council (ask for an environmental health officer) and the Environment Canterbury Pollution Hotline on 0800 76 55 88 for guidance on what to do next. What do we mean by ‘compliance’? Comply in full with the requirements of the Permitted Activity or Resource Consent conditions. Complying means to meet and follow the exact details of the conditions. For resource consents it also means following what was proposed in the consent application. Monitoring Officers may sample water quality in and around the site to check that performance is within expectations. Likewise, they may ask you to do so, to show that your management is achieving acceptable water quality results. Monitoring officers will check that the erosion control and sediment retention tools in place are sufficient for your site. They will see whether you are employing the best practicable option in each situation and make recommendations to address risks from the way land is being managed. You may be monitored at any point to check that any previously identified issues have been resolved and maintenance has been done, especially before rain storms or high winds. If there are problems, especially if these could affect water quality or people downwind from your site (eg from dust management), tell us at the earliest opportunity so that we can give advice. 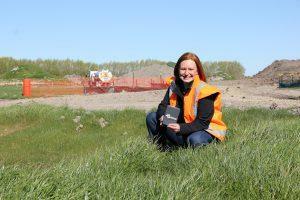 Environment Canterbury prefers to achieve environmental and community results through collaboration and negotiation. However, if people involved in an activity don’t follow advice or warnings about the risks on their site or don’t deal with the effects, we will take a firm position. This could involve enforcement action. 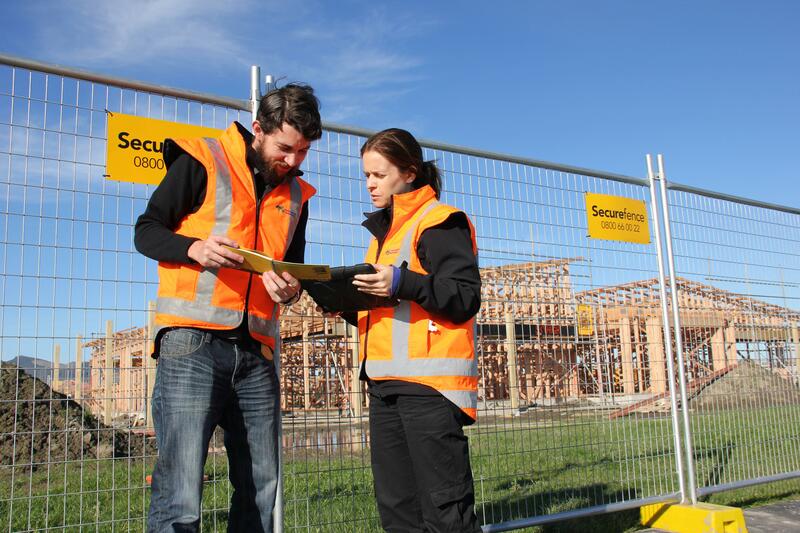 What does compliance look like on site? identify risks arising from the approaches taken in each aspect of the work plan/ESC Plan & problem solve those issues together. assess and plan the maintenance of your sediment control tools.